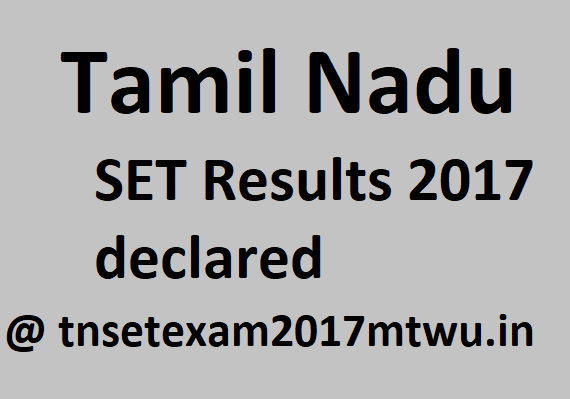 The exam took place on April 23, 2017, and TNSET results 2017 are out on the evening of 21 itself. The university has already released the key on May 17 for the convince of students. The main motto of the university is the empowerment of women through education. Mother Teresa Women’s University is a public university in Kodaikanal, Tamil Nadu. It was established in 1984 by the enactment of Tamil Nadu Act 15. It monitors and offers consultancy services and research in Women’s Studies. All the eligible courses are available in the University for women. The university offers distance education courses. The School of Distance Education of Mother Teresa Women’s University was started in 1988 at Kodaikanal. The famous women university conducted SET exam on April 23 this year. The examination took place in three papers form. The first paper is conducted for 100 marks, second paper for 100 marks and the third paper is conducted for 150 marks. To qualify for the exam, a general category candidate has to clear Paper I and II with 40 per cent. However, for Paper III, they need to secure 50 per cent. Similarly, for reserved category candidates, for Paper I and II it is 35 per cent. For Paper III, it is 40 per cent. Having a print out of mark sheet would help for the further use. Students who pass the exams can proceed further.